The Youth Enterprise with Innovation in Nigeria (YouWiN!) program of the Federal Government of Nigeria is jointly implemented by the Federal Ministries of Finance, Youth Development, Communication Technology and Women Affairs and Social Development; with support from the World Bank, UK Department for International Development and the Organized Private Sector. The aim of YouWiN! 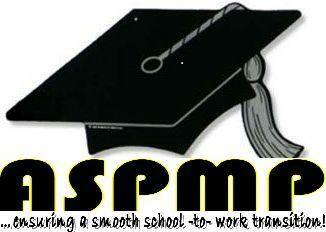 is to create jobs by encouraging Nigerian youth to employ others through innovation and enterprise. YouWiN! is implemented as an annual Business Plan Competition that culminates in the selection of 1,200 award winners in each cycle. Federal Government of Nigeria wants you to WIN! YouWin program is not just like other Federal Government Programs where you need to know somebody to win. YouWin is real and people are winning based on merit. I know some close friends who do not know anybody in government and yet they won. All you need to apply: be a Nigerian citizen aged between 18 – 45 years, have post secondary education, have a proposed business idea that will operate in Nigeria and employ Nigerians, thats all. The accomplishments of the 1,200 YouWiN! awardees were celebrated at the Presidential Villa on April 12, 2012. YouWiN! Women was the second edition of the entrepreneurial scheme, which was designed for only female entrepreneurs aged 45 years or less. YouWiN! 3 is the third edition which the application is on-going, it is seeking men and women entrepreneurs in Nigeria between the ages of 18 to 45 to apply. Check that you are qualified to apply. See “Who can apply?” above. If you have any trouble registering please click here to read our tips and troubleshooting advice, and if you still have problems after following this advice, please contact us. change as participants of the International Conference on Family Planning! attend the conference, but is open to all who are interested! 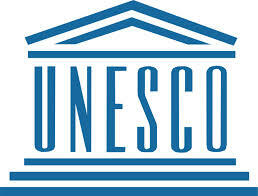 P-A-R-T-I-C-I-P-A-T-E: Consultations on the 8th UNESCO Youth Forum! For the first time in its 14-year history, the UNESCO Youth Forum is designed with young people. Through a series of online surveys and consultations, young women and men in all regions of the world can decide on the Forum’s thematic agenda, preparatory process, format and overall programme. An integral part of UNESCO’s General Conference, the Youth Forum is a unique space allowing youth delegates from across the world to share their experiences, exchange ideas and submit their proposals to representatives of 195 UNESCO Member States, thereby contributing to the global debate on UNESCO’s strategic orientations on youth. Phase 1 of the online consultation was successfully concluded allowing youth to identify the Forum’s thematic agenda! From 14 to 24 February 2013, 1,895 young women and men across the world responded to the online Survey on the theme of the Forum, selecting two priority thematic areas between the 7 themes suggested. Employability & Democracy and sustainable communities were the top two choices with respectively 515 respondents for the first one (majority in Europe and North America and in Africa) and 512 respondents for the second one (majority in the Arab States, Asia and the Pacific and Latin America and the Caribbean). All detailed results of this survey will be available soon on this website! Formulating the main theme of the Forum which should combine both thematic areas: Employability & Democracy and sustainable communities, in a more youth-friendly language. Identifying innovative modalities of the Forum on the format (plenaries, thematic debates, working groups, capacity-building sessions, etc.) as well as on the outcome (recommendations, action projects, roadmap, network building, etc.). The Global Youth Help Desk (GYHD) ( www.globalyouthdesk.org) is hosting an eDiscussion on an issue of great importance to youth—youth engagement in the United Nations (UN). Now you can add your voice to the debate on whether youth should have a greater say in the UN system–all you have to do is register on the eDiscussion pagehere. The United Nations declared the year starting on August 12, 2010 as the International Year of Youth: Dialogue and Mutual Understanding. With a considerable increase in youth awareness and participation, the United Nations recognized the unique role that the youth play in development. As a result, The United Nations Human Settlements Program (UN-HABITAT) –also a member of the Inter-Agency Network on Youth Development– was given the responsibility of exploring ways and means of enhancing youth involvement in the UN system itself. In collaboration with the GYHD, a UN-Habitat initiative developed in collaboration with partners, to provide up-to-date information on urban youth issues, regionally and globally, UN-HABITAT is organizing a series of online discussions and debates on matters pertaining to youth involvement and development in the United Nations system. The discussions and debates will explore the creation of a frame work to facilitate youth engagement as well as potential challenges in the implementation of such a vast project. The first event in the series of debates is a general discussion pertaining to youth awareness, participation and development over the course of the International Year of Youth. To inform this first discussion, the GYHD has prepared a report that lays out the various possible ways to involve youth in the UN system. ASPMP to host #NYSCReforms Project in Calabar! For more than 38 years, the National Youth Service Corps has deployed more than One million youth graduates across Nigeria in an effort to promote National integration, cross culture, mutual understanding and service amongst Nigerian youth. Since inception, the decree setting up the National Youth Service Corps has only once been modified through decree 51 of June 1993. Nigeria’s current challenges of unemployment, poverty, infrastructural challenges and recent violence in parts of Nigeria has made it important to embark on a reform of the NYSC scheme to reposition it to effectively respond to these challenges and contribute to Nation building. The NYSC reforms and Advocacy is embarking on a massive awareness, consultation, lobby and advocacy to ensure that a reform of the NYSC process is undertaken by Government and that such reforms benefit the young people that will take part in the scheme. To this end, The AfterSchool Peer Mentoring Project in Collaboration with Digital Peers International with support from the World Bank is organizing a physical Consultative Forum on the Reforms of The National Youth Service Corps (NYSC). The objective of this project is to engage young people in the process of redefining the NYSC scheme in Nigeria towards repositioning it to act as a platform for capacity building, National integration and service to the Nation. Pre-register to attend the event, Text/call Nsa 08072024882 to express your interest in participation. Youth Program Officer Vacancy at OSIWA! Investor and philanthropist George Soros established the Open Society Foundations, starting in 1984, to help countries make the transition from communism. Our activities have grown to encompass the United States and more than 70 countries in Europe, Asia, Africa and Latin America. Each Foundation relies on the expertise of boards composed of eminent citizens who determine individual agendas based on local priorities. The Open Society Initiative for West Africa (OSIWA) is an advocacy and grant making foundation that forms part of the global Open Society Foundations Network. OSIWA is based in Dakar, Senegal and works to support the creation of open societies in West Africa marked by functioning democracy, good governance, the rule of law, basic freedoms, and widespread civic participation. It has offices in Abuja, Monrovia, Freetown and Conakry. The Open Society Youth Initiative (OSYI) supports young people in their efforts to be agents of positive change and advocates for the full and effective participation of all young people in the political, social and cultural life of their communities. The Youth Initiative operates globally to identify opportunities and threats to open society values that are particularly relevant to young people making the transition from childhood to adulthood. While primarily focused on empowering youth directly through its operating and grant-making programs, the Youth Initiative is also exploring how it might develop a role in advocating for the adoption of sound national and international youth policies on behalf of youth. The Youth Initiative grew out of the OSF Network Debate Program (NDP), which operates in over 40 countries. To ensure the continued success of the Debate Program and support its work in closed societies, OSF has helped establish the International Debate Education Associations, which promotes discussion and dialogue around the world. Both associations work to sustain the network created by OSF. For more information on these organizations, see http://www.idebate.org. In 2011, the Youth Initiative will be launching a Debate and Global Civics Initiative, aimed at ensuring that undergraduates become committed to consider global issues from points of view other than their own and debate the rights and responsibilities they have to others. OSIWA and the Open Society Youth Initiative seeks a dynamic individual as a Program Officer based in Dakar, Senegal to help it expand its youth programme in West Africa and ensure that issues relating to youth are integrated in all the programs of OSIWA. Additionally, the Program Officer will dedicate a percentage of his/ her time working in partnership with the NY Program Director to help coordinate Scholarship Programs’ Undergraduate Mobility Initiative.  As assigned by the OSIWA Executive Director and Director Youth Initiative. Salary: Commensurate with experience with full benefits. Note: Due to the number of applications we receive, only shortlisted applicants will be contacted by OSIWA. No phone calls, please. The Open Society Foundations are an Equal Opportunity Employer.